– January 7th: Poland’s new year started big, with a controversy over the salary of one of the directors of the National Bank of Poland (NBP). An article in Gazeta Wyborcza, published at the end of December, escalated into a thriving controversy in January: allegedly, Martyna Wojciechowska, head of communications and promotions, earns 15 thousand Euros (65 thousand PLN) monthly. Debate has also emerged over the lack of public disclosure of this institution’s salaries. – January 9th: the start of a new year also brought high-level political meetings, as Italian Deputy Prime minister and Minister of Interior Matteo Salvini came to Poland at the invitation of Joachim Brudziński, Poland’s Minister of Interior and Administration. During a press conference, Mr. Brudziński said that the meeting concerned security cooperation, fighting organized crime, and migration. Salvini added that France and Germany were dominating the EU, and it was time for new powers to rise. The Italian Deputy Prime-minister also met with Jarosław Kaczyński, leader of the Law and Justice party, and Polish Prime Minister Mateusz Morawiecki , with whom he spoke about creating a Polish-Italian line of cooperation line migration. 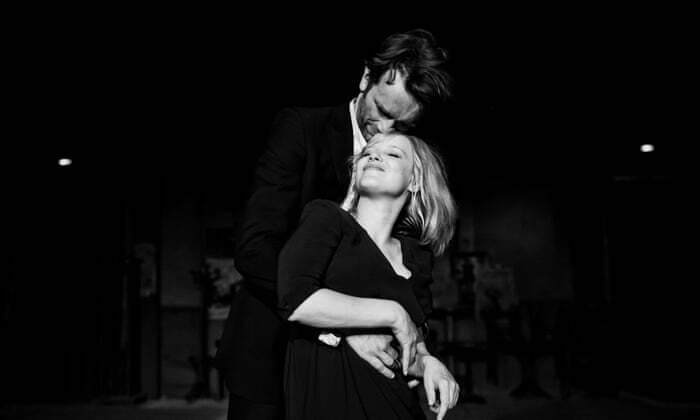 – January 9th: Cold War, a film by Paweł Pawlikowski, was nominated for BAFTA Awards for best direction, best original screenplay, best cinematography and best foreign language film. Later this month, Cold War also received three Oscar nominations for best director, best foreign language movie, and best cinematography. The movie tells the story of two musicians, Zuzanna and Wiktor, and their lives during the Cold War on different sides of the Iron Curtain. Set in Poland, Germany, France, and Yugoslavia in the ‘50s and ‘60s, it is accompanied by French and Polish jazz and folk music. In 2013, Pawlikowski directed Ida, which won the Oscar for best foreign language movie, a first in the history of Polish cinema. – January 11th: Poland’s Internal Security Agency (ABW) detained Piotr D., a Polish national, and Wjing W., of China, and charged them with spying. Wjing. W. is a former employee of Chinese telecom giant Huawei, and Piotr D. is an ex-security agent from the ABW, and currently an employee of Orange Poland. The arrest follows allegations that Huawei had engaged in espionage through electronic devices, which resulted in the arrest Meng Wanzhou, Huawei’s the chief financial officer, in Canada, and concerns over homeland security in the United Kingdom, Germany, New Zealand and Australia. 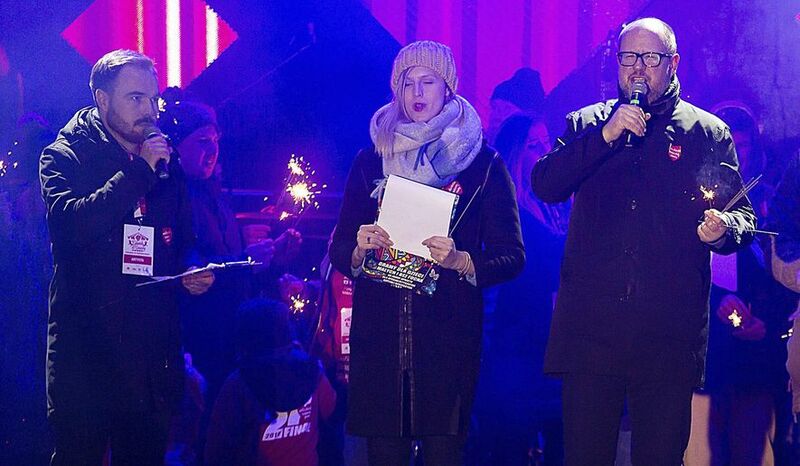 – January 13th: the mayor of Gdańsk, Paweł Adamowicz, was stabbed to death. The assailant, Stefan W., who is currently being examined by psychiatrists, has insisted that had been tortured by members of the former ruling party, Civil Platform, while in prison for armed robbery. The incident occurred during the 27th annual Great Orchestra of Christmas Charity Foundation Grand Finale. Adamowicz had been a strike organiser before becoming mayor of Gdańsk in 1998, and was a former member of Civil Platform, and, according to many, a model civil servant. He will be missed. – January 27th: to commemorate the 74th anniversary of the liberation of the concentration camp-death camp Auschwitz-Birkenau, director of the Auschwitz Museum and Memorial Piotr Cywiński reminded his audience that “words of hatred can destroy, poison imagination, and dull consciences. And today the words still have the power of destruction in internet, comments, discussions, titles when you show people who are fleeing in fear and sickness. In the language of political debates, demagogy, populism, in brutal words of those who are to serve, to lead. Words of hatred can destroy, poison imagination and dull consciences, maybe that is why so many is silence against the evil”. In attendance were many prominent politicians, including German Chancellor Angela Merkel, President of Poland Andrzej Duda, a number of diplomats, survivors, and others. The camp was liberated in 1945 by the Red Army.